The Series 31 examination is required for those who wish to receive trailing commissions on commodity limited partnerships, commodity pools, or managed accounts guided by Commodity Trading Advisers. It is also meant for those supervising these same limited activities. 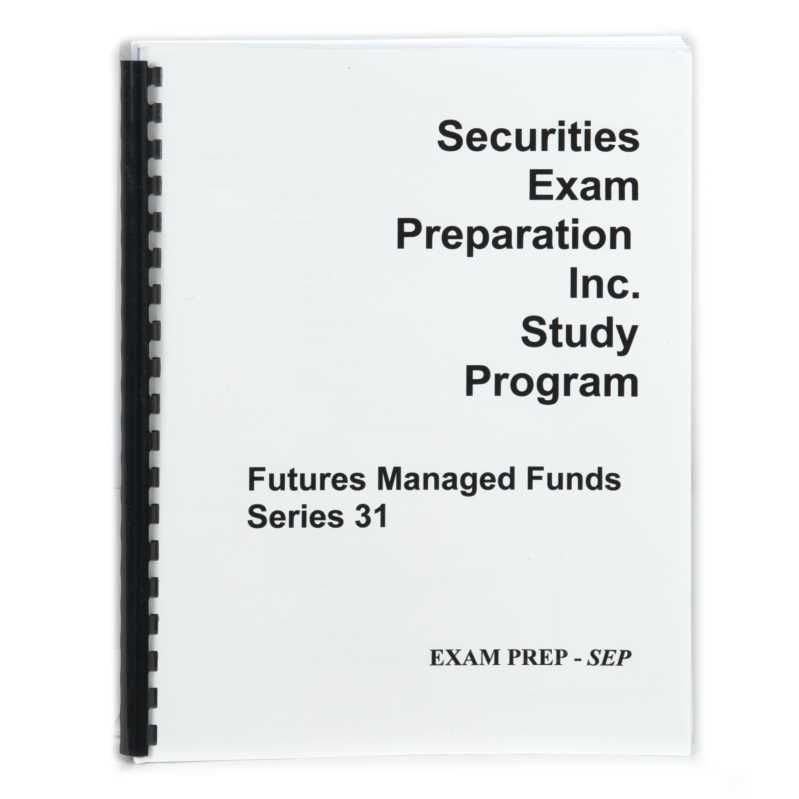 Individuals who take this exam in lieu of the Series 3 cannot open individual futures trading accounts. Each section is followed by a quiz. Two Series 31 simulated Final Exams with complete explanations are provided to give the user practical experience with the exam format.